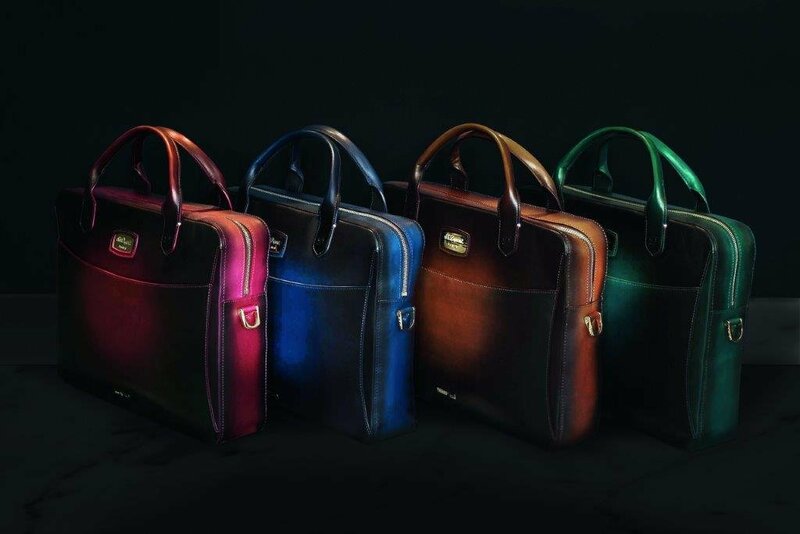 S.T.Dupont has relaunched a collection of leather goods featuring patinated leather, the colours and contrasts of which call on the Maison’s very first form of expertise. The art of patina is carried out entirely by hand, lends colours shades and contrasts beyond compare and meticulous attention at every stage. The art of patina is carried out entirely by hand. Adding to its “Art of Secret”, it involves meticulous attention at every stage. The process of skin selection is the very first evidence. 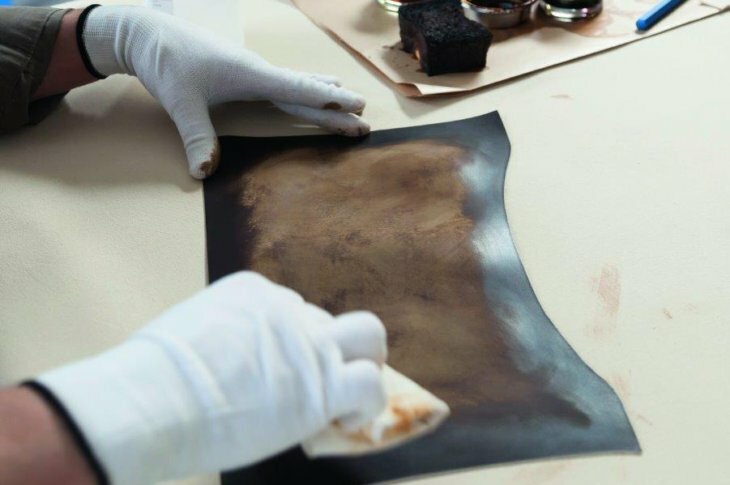 Only the purest specimens are accepted, which are prepared using a completely natural method of vegetable tanning to reveal the full intensity of the colour. Sourced from mineral pigments only, the colour is then applied with constant care and precision. Like a gentle caress, it heightens the light in its centre and produces the rarest and most precious tones. This meticulous and remarkable stage enhances the contrasts of each object. Each piece acquires its very own, exclusive shade. More than a signature, this is the essence of S.T. Dupont. 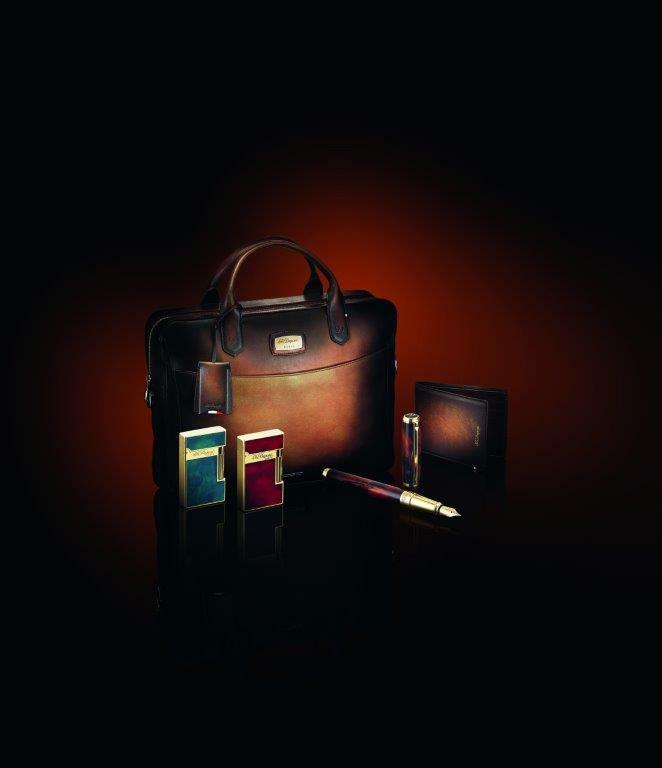 In 2014, S.T.Dupont re-released a cult collection of natural lacquer lighters, incorporated unique ancestral techniques and expertise, such as were used in its atelier in 1953, the art of “Popoté”. This stage is deliberately but meticulously performed in an irregular manner to create the Maison’s characteristic cloudy effect. Individually hand-crafted the Atelier S.T.Dupont collection is stamped with the old S.T.Dupont logo and the winged wheel hallmark. 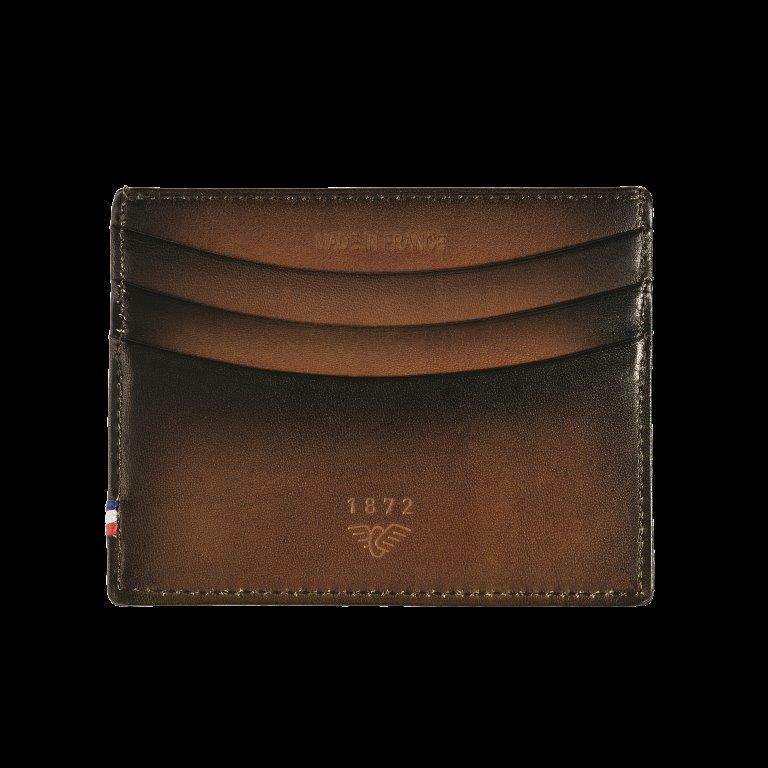 The date 1953 or 1872, references of the atelier’s creation for each specialization is also inscribed on the products. While the procedure remains the same for each piece, the result is always different. Depending on the colour contrasts obtained, the handmade production process gives the product its very own depth and soul. 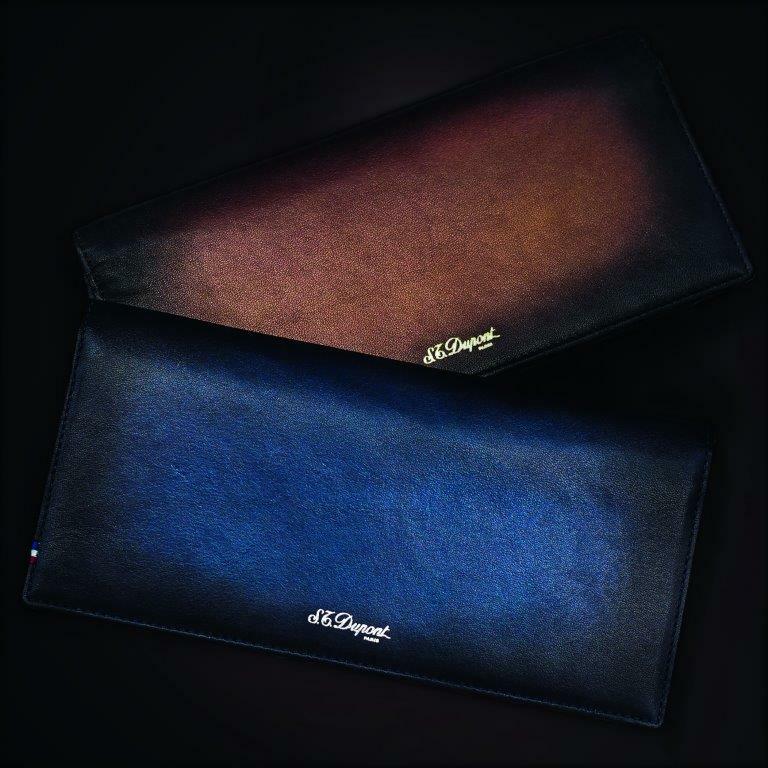 A document holder and laptop case: Timelessly elegant, it is designed to meet the everyday expectations of businessmen. 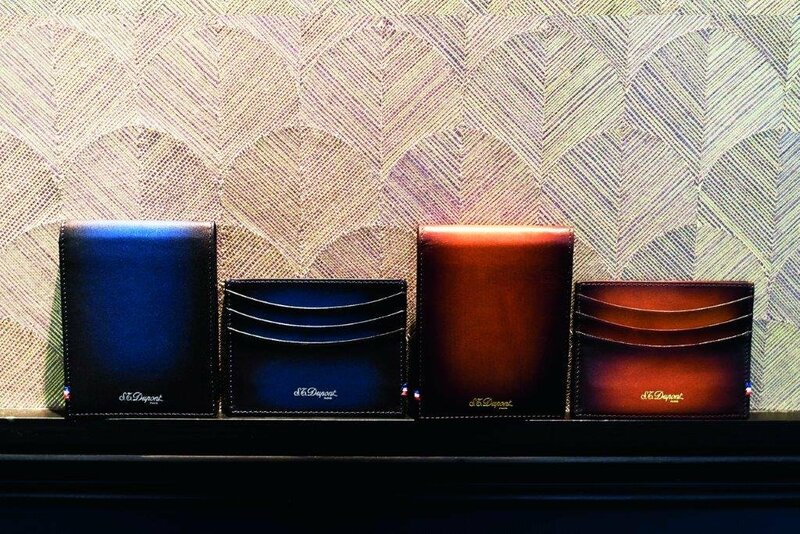 The piece is available in four rare and refined colours: midnight blue, tobacco brown, emerald green and ruby red. 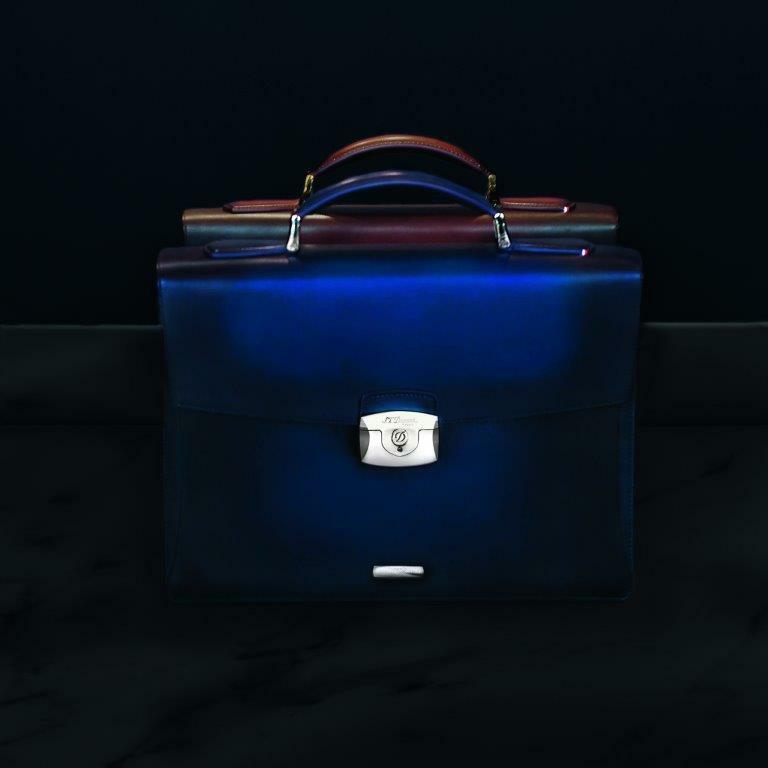 A single gusset briefcase: perfect for carrying different documents with ease, is available in midnight blue or tobacco brown. 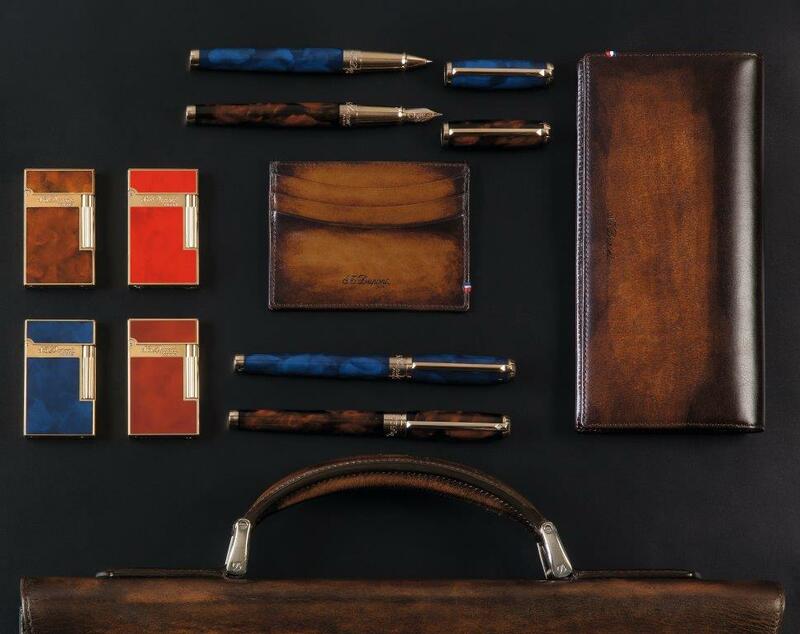 Three models of small leather goods are available in midnight blue and/or tobacco brown. 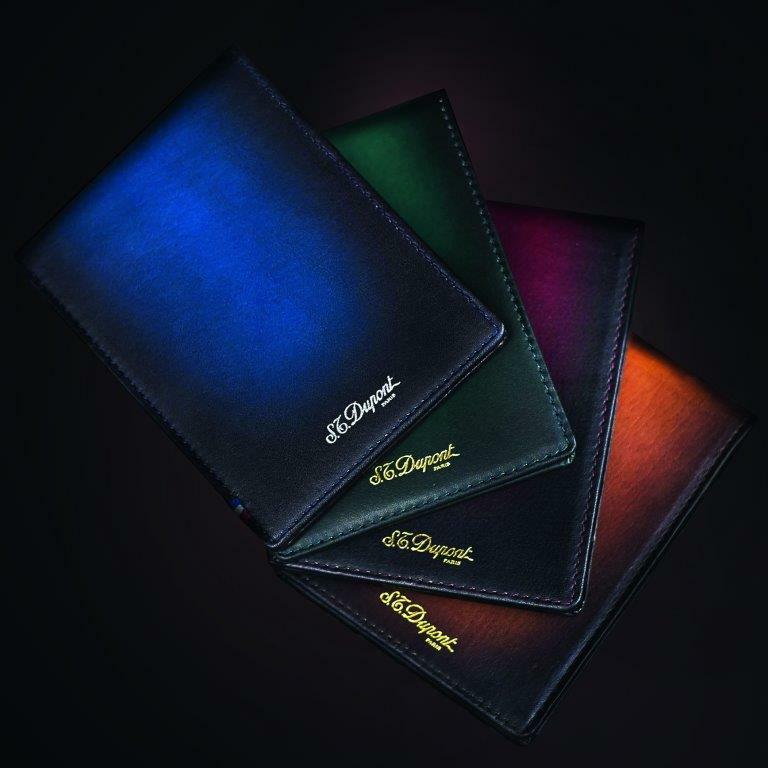 The wallet will be available in the four all-new colours: midnight blue, tobacco brown, emerald green and ruby red. S.T. Dupont continues to re-release its cult objects made from natural lacquer. Following the light brown, dark brown, navy blue and cherry red shades launched in October 2014, the Ligne 2 lighters are available in two all-new colours: emerald green and aubergine. In addition to the midnight blue and dark brown shades available since June 2015, the pen collection also features two other dazzling colours: cherry red and aubergine. Two smaller Line D pens are also be released in blue and dark brown. NOW AND FOREVER, S.T. DUPONT’S EXPERTISE GIVES RISE TO EXCEPTIONAL COLLECTIONS FOR EXCEPTIONAL PEOPLE WANTING TO OWN CULT OBJECTS THAT CAN BE PASSED DOWN FROM GENERATION TO GENERATION.